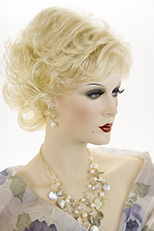 Striking and feminine! 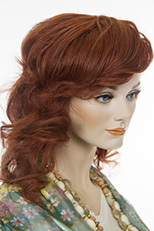 This lovely long wavy hair piece is 18 inches in length and easily attached with a claw clip. See item details for available colors. Long luxurious straight hair piece, which is 20 inches in length. Easily attaches with a claw clip and draw string. See item details for available colors. Long, sleek and straight. 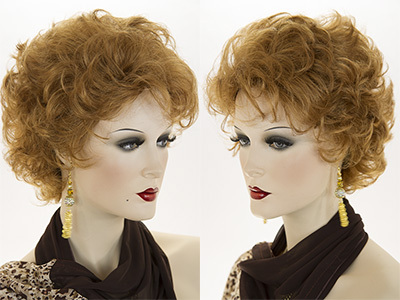 This glamorous hairpiece is reversible for many styling options The lovely hair is 25 inches in length. Easily attached with a claw clip, you can change your look in moments. See item details for available colors. 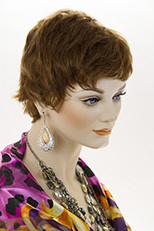 Premium quality modacrylic, Kanekalon hair clip-in fall, hairpiece, which is 24 inches in length. See item details for available colors. 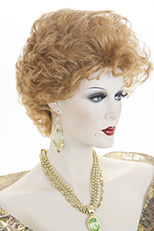 Glamorous and striking! Long, feminine, wavy, curls fall past the chest. The hair is 26 inches in length, featuring a natural looking center skin part which is 2 X 4 inches. 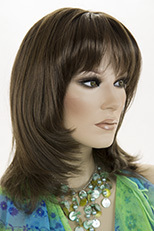 Soft bangs highlight lovely eyes. See item details for available colors.